This mock draft was done by myself and Sean Rhodes, from Phil Steele Publications. With the No. 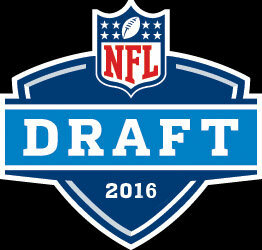 8 Pick of the 2016 NFL Draft, the Cleveland Browns select…. 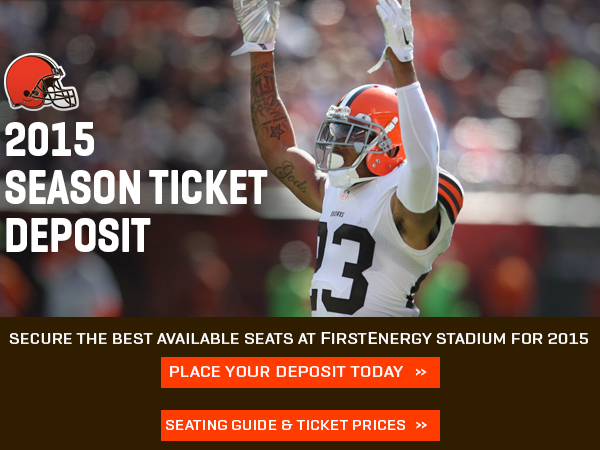 The same week that the Cleveland Browns made it into the national news for the wrong reasons once again this offseason, I received an email to deposit money for 2015 season tickets!?! I’m serious. I can’t make this up. There was a positive story as well, however. After the local and national ridicule the club garnered following the logo and helmet color change (or lack thereof), safety Donte Whitner was chosen to participate in a Nike photo shoot promoting the new uniforms the team will debut this season. Sworn to secrecy about specific details of the changes, Whitner did throw us a couple of bones. Various reports have the Browns signing Ryan Aplin as an undrafted free agent, while others say that he has not signed. Here is a report on him just in case he does sign with the Browns and you want to have some more info on him. Working for one of the leading college football companies in the country, Phil Steele Publications, gives me great information on players. The following is some of the information that I’ve gathered on the newest Cleveland Brown QB. Coming out of high school Aplin wasn’t heavily recruited. Phil Steele ranked him as the #287 high school QB. Not only was Aplin a football standout, but he was also named All-Conference on the baseball diamond as well. After redshirting as a true frosh, Aplin got his opportunity as a redshirt freshman. He played in 9 games, starting 3, and finished with 889 passing yards, completing 65% of his passes with a 3-6 touchdown to interception ratio. He rushed for 253 yards, averaging 4.0 yds/carry. Hugh Freeze took over as the offensive coordinator during Aplin’s sophomore season. Things started slowly as Aplin was forced to sit out the spring practices after rehabbing his shoulder following off season surgery. He was named the starter in the summer and started all 12 games on the year. 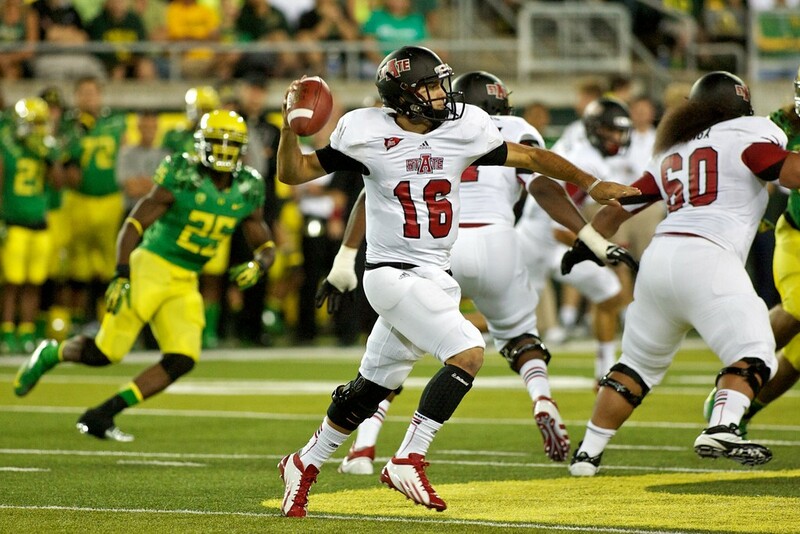 Aplin was responsible for 70% of Arkansas State’s total offense and threw a touchdown pass in all 12 games. For the season Aplin threw for 2,939 yards, completing 62% of his passes with 21 touchdowns and 11 interceptions. He also rushed for 477 yards on 138 carries (3.5 avg) with another 11 rushing touchdowns. In setting numerous school passing records, Aplin was named the 1st Team All Sun Belt Conference QB. Freeze took over as head coach in Aplin’s JR season and it was a bit of a surprise when he mentioned that Aplin wasn’t guaranteed a starting spot. Not only did Aplin keep the starting QB job, but he was also named the Sun Belt Conference Player of the Year. Again Aplin, who started all 13 games, set numerous school passing records and finished with 3,588 yards, completing 64% of his passes. The lone downfall was his TD to interception ratio which was a modest 19-16. He also ran for 588 yards with 10 rushing td’s. For his senior season, Aplin had to learn a new, but somewhat similar system. Hugh Freeze took the Ole Miss job and noted offensive genius Gus Malzahn took over as the new head coach. Malzahn was the College football coordinator of the year when he orchestrated Auburn’s potent offense with Cam Newton under center en route to a National Championship. Despite a new offense, Aplin was nearly perfect in Arkansas State’s spring game. 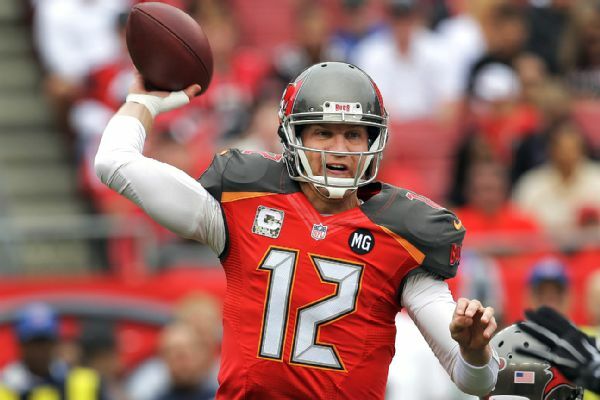 He threw for 313 yards and 4 touchdowns, completing 79% of his passes. He was named to the O’Brien and Walter Camp watch lists and didn’t disappoint. Again staring all 13 games, Aplin won his 2nd straight Sun Belt Conference Player of the Year award. He went to on to finish with 3,342 passing yards, completing a career high 68% of his passes. He also rectified his touchdown to interception ratio from his JR season, finishing with 24 touchdowns and only 4 interceptions. He wasn’t asked to rush as much, but still finished with 438 yards and 6 more touchdowns on the ground. Despite his success in the college ranks, Aplin will have his work cut out for him to make the roster. Arkansas State ran an up tempo offense that relied on the short passing game. He also doesn’t have a big arm. He did have major success for a small program and was coached by two of college football’s greatest minds, so that can never be a bad thing. He can scramble if he needs to and is a proven winner. Safety Jamoris Slaughter didn’t expect to hear his name called during the NFL draft. The Browns made the surprising pick of drafting the Notre Dame product with the 175th pick. The reason the pick was surprising was because Slaughter only played in 3 1/2 games last year after tearing his Achilles tendon. Working for one of the best college football companies, Phil Steele Publications, allows me access to great information on every player. Here is our “player card” on the Cleveland Browns newest DB, Jamoris Slaughter. Slaughter entered college as a very highly touted recruit out of Georgia. Phil Steele ranked him as the #35 overall DB coming out of high school. He ran a 4.5 40 as a prep player. 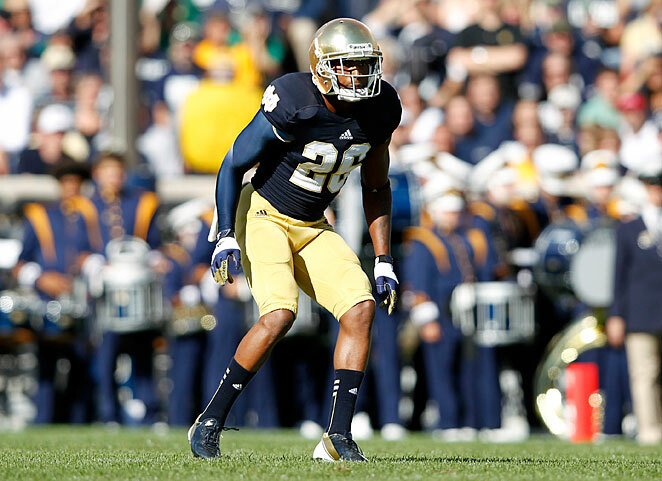 After redshirting his true frosh year, Slaughter played in all 12 of Notre Dames games as a redshirt frosh, starting one of them (CB). He played both FS & CB and was noted as one of the better tacklers on the team, finishing with 14 of them. Slaughter came into his Sophomore season needing to impress new head coach Brian Kelly. A lot of times new coaches want to play their own guys, but Slaughter gained 10 pounds over the offseason and did indeed impress Kelly in the spring practices with his downhill tackling ability. He played in 11 games, starting 5 of them at free safety, but was hampered by heel and ankle injuries, which cost him his starting job. Slaughter finished with 31 tackles, 3 pass break ups, and 1 interception. In the offseason entering his Junior season, Slaughter had surgery due to bone spurs in his ankle. He was declared the starter after summer practices and played in all 13 games, starting 9 as a free safety. Slaughter finished with 45 tackles, 2 sacks, 2 tackles for loss, 2 pass break ups, and 1 interception. Slaughter entered his Senior season with Notre Dame realizing how important it was for him to be on the field. He got some work at CB during spring practices and was getting work as an OLB in certain packages in the summer. He stared the first three games at safety before tearing his Achilles tendon on the first snap of the 2nd half against Michigan State. He finished with 8 tackles and 1 pass break up. The NCAA denied Slaughters request for a 6th of eligibility in February. Obviously it remains to be seen how Slaughter will respond after his season ending injury from a year ago, but when on the field, he’s a versatile player and a steady tackler. After LB, the most pressing need for the Cleveland Browns was at the CB position. 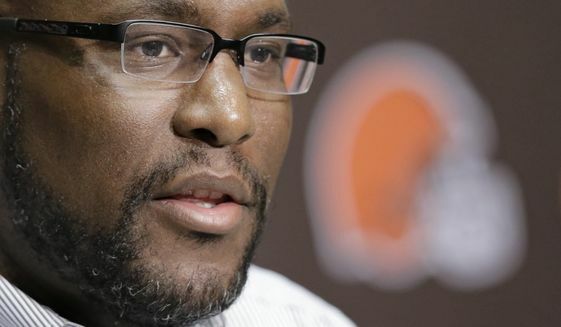 The Browns spent their 3rd round pick on the player they hope will fill that need, Leon McFadden. Who is Leon McFadden you ask? I’m here to help. Working at one of the leading college football companies in the world, Phil Steele Publications, allows me access and info on players that you might not get otherwise. Allow me to share. McFadden was actually recruited as a WR coming out of high school. 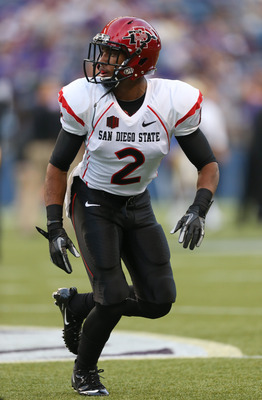 Although not a highly recruited prospect (Phil Steele had him ranked as the #542 WR in the country), McFadden came in right away and made an impact for the Aztecs. He was moved to CB during the summer practices and started the 1st 5 games of the season. He was their only true frosh to play in all 12 games and finished with 26 tackles, 1 sack, 1 interception and blocked 2 kicks. While he only started 1 game out of the final 7, he was listed #2 on the depth chart at CB at the end of the season. Heading into his Sophomore year, McFadden put on 15 pounds and had a tremendous season. He started all 13 games and finished with 55 tackles, 1 sack, 6 tackles for loss, 12 pass break ups, and 2 interceptions. He also returned 5 punts, averaging 9.2 yds/ret. He was named 1st Tm All-Mountain West Conf. After his stellar Sophomore season, McFadden didn’t slow down as a Junior. He put on 8 pounds of muscle in the offseason and there was even talk of him playing both ways (WR). He stayed strictly on the defensive side of the ball and again started all 13 games, finishing with 46 tackles, 1 sack, 2 tackles for loss, 15 pass break ups, and 2 interceptions. Teams tended to avoid McFadden, but he still earned 1st Tm All-Mountain West Conf, becoming the 1st Aztec to accomplish back to back 1st Tm accolades since ’00-’01! McFadden thought about making himself eligible for the draft after his JR season, but thought otherwise after it was suggested he’d be a 5th round selection. He made the Nagurski and Thorpe watch lists and finished with 61 tackles, 2 tackles for loss, 12 pass break ups, 3 interceptions (2 returned for touchdowns, including a 96 yarder) and 1 forced fumble, again starting 13 games. He earned 1st Tm All-Mountain West Conf for a 3rd straight year! His height maybe a bit of a question mark, but he has the speed and mental makeup to be the corner that the Browns need opposite Joe Haden. McFadden played in every game in his college career (51) and started the last 39 of them. With a name starting with “Bark” was it really a question where Keke Mingo would end up? All kidding aside, the Browns drafted a solid player that will provide instant relief on the defensive side of the ball. The 6-5, 240 pound DE/OLB was not only a standout on the gridiron in HS, but also a track stud, where he was a sprinter in the 200 & 400 meters! 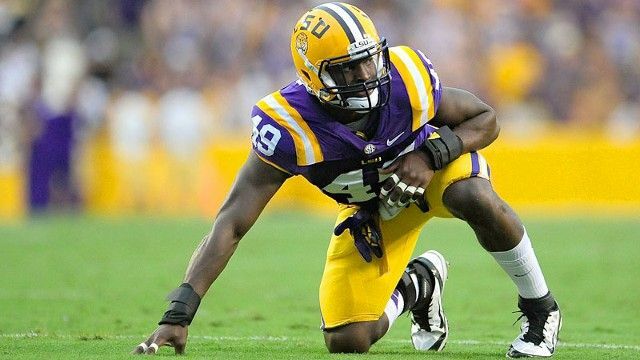 Phil Steele ranked him as the #13 overall LB in the country when he signed with LSU. After redshirting his True Freshman year, he gained 26 pounds and was moved to DE. He flashed unbelievable speed (4.5 40) & athleticism (35.5″ vertical) for a guy his size. He played in 13 games, starting 1 as a redshirt frosh, showing tremendous speed off the edge. He finished with 35 tackles, 2.5 sacks, 3 tackles for loss, 4 QB hurries, 2 forced fumbles, 6 pass break ups and was named to the All-SEC Frosh team. Entering his Sophomore season Keke earned LSU’s offseason Leadership award along with their spring award. Head coach Les Miles said “He’s got safety & OLB speed.” He played in 14 games, starting 5 and finished with 46 tackles, 8 sacks, 7 tackles for loss, 11 QB hurries (5 in the SEC Champ game alone), 2 pass break ups and was named 2nd Tm SEC. Entering his Junior season, which would be his last, Keke again earned LSU’s offseason Leadership award & the MVP of the Spring award. He was named to the Nagurski, Bednarik, and Lombardi watch list. He played in 13 games, starting 10 and finished with 38 tackles, 4.5 sacks, 4 tackles for loss, 12 QB hurries, 1 forced fumble, 3 pass break ups and again earned 2nd Tm SEC. The Browns are not just getting a solid football player, but a great person who is a leader off the field as well. I really like the pick and Browns fans, you should be excited! !